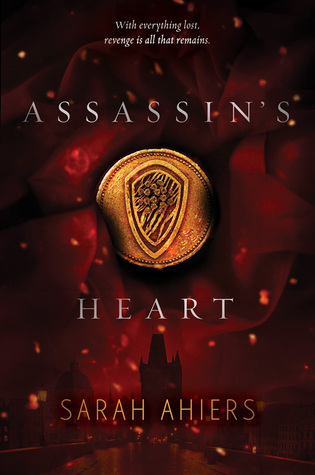 The Assassin’s Heart is hands down one of the most exciting debuts I’ve come across in ages. The fast pacing leaves very little time to breathe, but with such an exciting story in hands, breathing becomes secondary anyway, and all you care about is the fate of the characters. Sarah Ahiers has an excellent sense of her characters and knows just what to do to keep us at the edge of our seats. I loved several things about her debut, but more than anything, I loved how it enveloped me completely, to the point where I refused to go to bed until I finished it. I love when books are just so exciting that it's easy to overlook its flaws. This one looks great! So glad you enjoyed this, I really did as well but for some reason a lot of people didn't. Wonderful review! Lol. Assassins will be assassinating other assassins at this rate. I kept bypassing this book from my bookstore jaunts. It sounds great, and I love me some assassins. So many people have raved about this book when it came out and I was so tempted to request but wasn't sure it was for me. So glad it one of your exciting debuts this year! Hmmm, I've been a bit torn about this one, but if the book was captivating enough to merit 4 stars even with the issues toy mentioned, I think I do need to check it out!